This Super Solar Shower Is Great For Use When Camping Or In The Outdoors. Flexible And Compact This Water Tank Is Ideal For The Tight Confines Of Marine Applications As It Can Flex To Different Shapes. These Water Tanks Are Used For Storing Water On Board A Boat. These Are Great As They Can Be Fitted Into Tight Spaces And Bend To The Curves. This Water Tank Will Not Change The Flavour Of The Water, Perfect For Onboard Boats Or Motorhomes For Holding Water. This Particular Water Tank Is Of A Heavy Duty Construction For Tougher Conditions Suitable For Yachts And Other Marine Uses. At SecureFix Direct we specialise in providing customers with high quality boat water tanks. 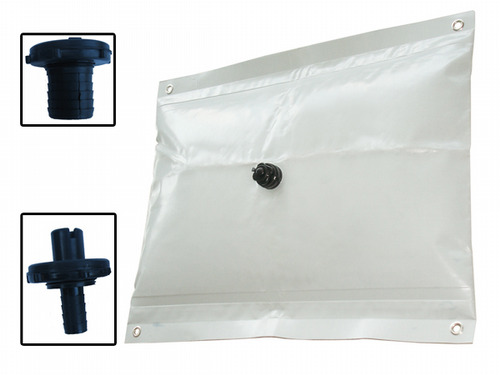 These tanks are available in a wide range of sizes, and they are used for storing water on board a boat. What makes them particularly useful is the fact that they can fit into tight spaces, making them much more convenient compared to a rigid tank. If you're looking for boat water tanks then you've come to the right place, so view our selection and make your purchase today. Our heavy duty water tanks are very competitively priced, and the material used to build them has been extensively tested. This means they won't change the flavour of the water, and you can have peace of mind in the knowledge that you are drinking clean, safe water. Our boat water tanks are available to purchase at 55 litres, going all the way up to 120 litres. For marine water tanks you can trust, make sure you buy from SecureFix Direct today. If you want to keep clean while spending the day on your boat then you can take advantage of our solar shower. These are powered by the heat of the sun, so no electricity or batteries are needed. When you leave the solar shower in direct sunlight it can heat the water to temperatures of up to 41 degrees, making it the ideal solution for washing when you're away from land or as a camping shower. The solar shower also comes with a flexible hose, hanging string, shower head and more, so you have everything you need with this one product. Why should I buy boat water tanks from SecureFix Direct? Our marine water tanks are available in several different sizes, and they can be stored away easily and conveniently. This means you will always have access to clean water for drinking or washing with, all for a very low price. 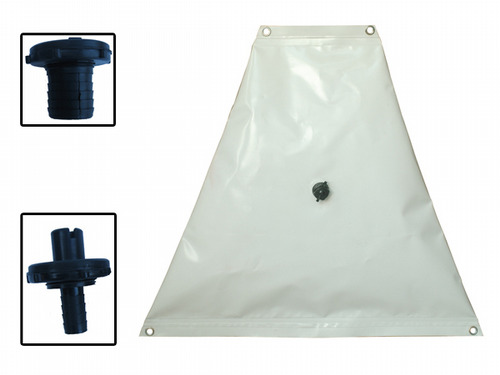 Our solar shower will also keep your water warm in case you need to wash, and it can form a vital part of your marine equipment. Once you purchase from us we'll process the order as soon as possible, ensuring that it's delivered to your door in no time at all. SecureFix Direct should be your first and only choice when you're in the market for boat water tanks. If you would like to know more about SecureFix Direct or any of our products then please don't hesitate to get in touch with a friendly member of our team today.